To Play the Flute, the first event of Furla Series #01, is a reenactment of four historic performances that mark fundamental points in Forti’s career: Huddle and Censor (both from 1961), Cloths (1967) and Sleepwalkers (1968). This selection highlights her approach to the interplay of actions and objects, and the key role assigned to sound. For over fifty years, Simone Forti has been a leading figure in postmodern dance. From the simple, minimalist movements of her early pieces, to improvisations joining words to movement, her work has profoundly influenced contemporary dance and performance practices. It was with her famous Dance Constructions—now in the permanent collection of the Museum of Modern Art in New York—that Simone Forti built a reputation in the 1960s art world for innovative experimentation with the language of movement. Presented for the first time in 1961 as part of Five Dance Constructions and Some Other Things, in a series of events that La Monte Young organized at Yoko Ono’s New York studio, the performances completely rethink the relationship between body and object, movement and sculpture, rules and improvisation. Based on everyday movements or interactions with objects, these are pieces in which personal expression and improvisation are always hampered by the effort required to carry out a given physical task or follow certain rules. In one of the best-known works from this series, Huddle, a group of people performs the title gesture. Together, they form a single structural entity, an uneven cluster of arms, legs, torsos and heads that takes shape before the viewers’ eyes, like a sculpture made of bodies taking turns at climbing over and rejoining the mass. First presented in 1961 as part of the same event, Censor is instead a clash between sounds: a pan full of nails is energetically rattled as a song is sung. In To Play the Flute, this unnerving acoustic composition is repeated more than once, serving as an intermezzo between performances. In Cloths, performed for the first time in 1967 at the School of Visual Arts in New York, the human body disappears, giving the stage completely over to those fundamental elements of Forti’s practice: movement—in this case, the movement of cloth being thrown—and music. 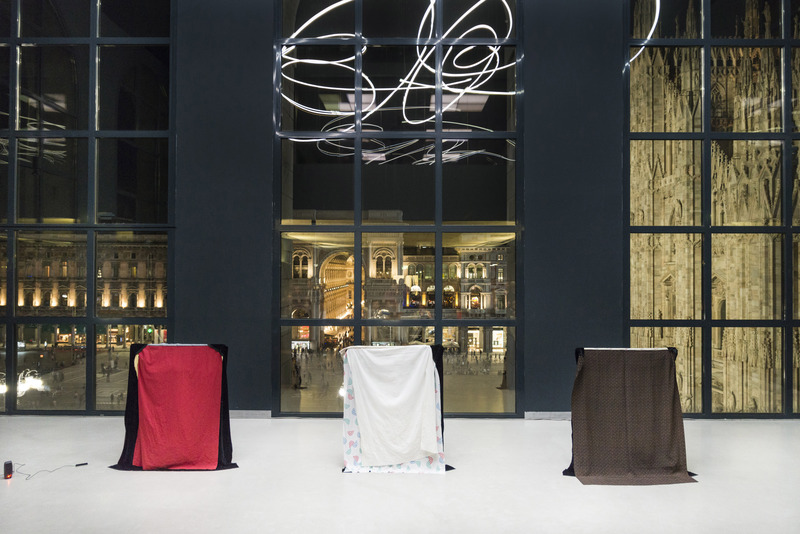 Three black canvases attached to frames occupy the space, concealing performers who progressively toss pieces of fabric over the frames to form colored layers, while singing over pre-recorded tracks of other songs. Lastly, Sleepwalkers, here performed by dancer Claire Filmon, is one of Forti’s best-known works, and stems from the artist’s time in Italy in the 1960s. 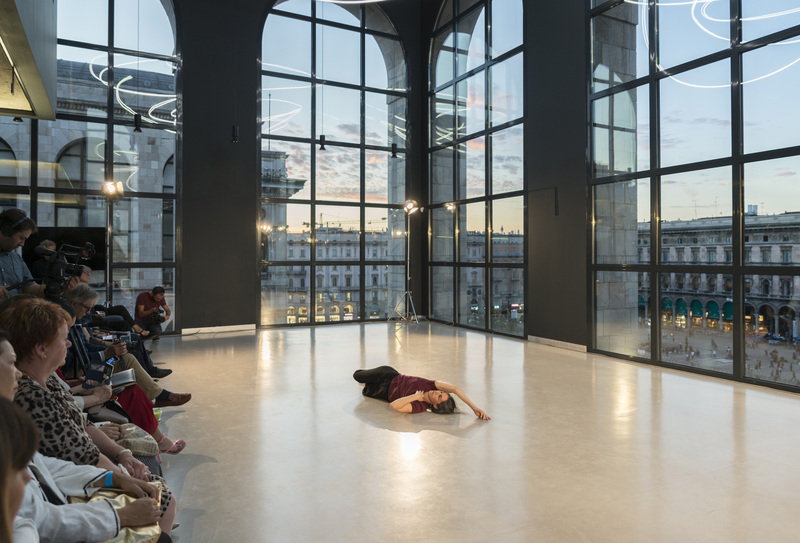 The piece was performed for the first time in 1968 at Galleria L’Attico in Rome, as the culmination of days spent watching and sketching the fauna in the city zoo. The result is a meditative work based on the habits that animals develop in response to confinement, conveyed in the performance through pared-down movements that explore the complicated balance between restriction and freedom. 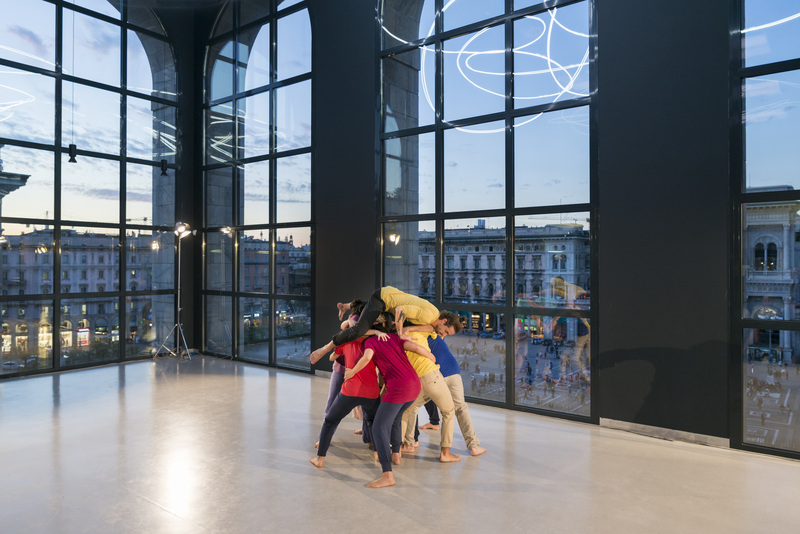 Cover photo by: Simone Forti, Huddle (1961), performed at Le Mouvement - Performing the City, Biel/Bienne, 2014. The Museum of Modern Art, New York. © 2017 The Museum of Modern Art. Photo: Meyer & Kangangi. Photo courtesy the artist.